Sure, you can already use your smartphone to pay for things, but soon you'll be able to use a mobile device to withdraw cash at the ATM. Barclays (AGRPY) bank is rolling out a new ATM system in branches across the U.K. that lets Android users take out money with just a tap of the device. The service, called Contactless Cash, requires NFC-enabled Android phones to facilitate communication between the ATM and the device in close proximity. It's the same tap-to-pay tech used by Android Pay and Apple Pay. The company says the method is faster and safer than traditional ATM transactions that require physical banking cards. "Whether using your smartphone or card, it removes the risk of magnetic card skimming and distraction fraud, as the device never needs to leave your hand," the company said. 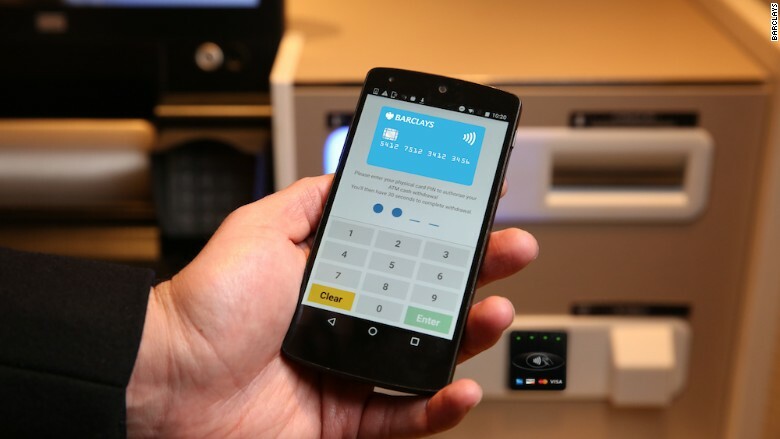 After a user taps the NFC reader on the ATM, he or she will use the Barclays Android app to enter the withdrawal amount -- up to £100 at a time -- and the account's pin number. There's no need to type anything directly into the ATM. The app also lets people pre-select withdrawal amounts ahead of time. 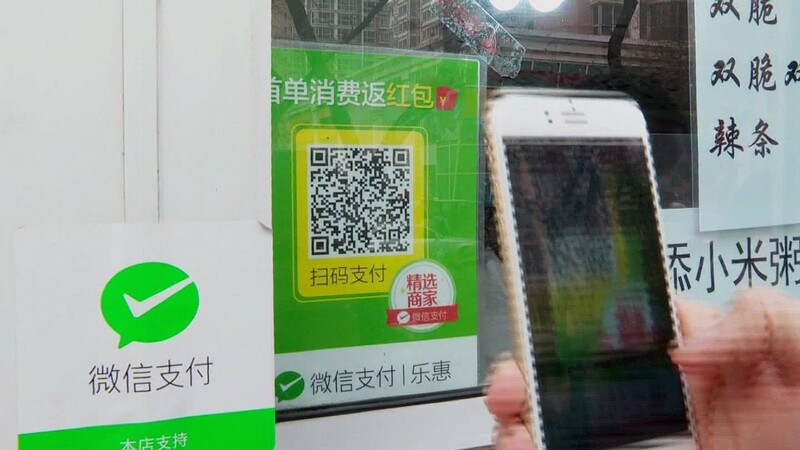 After typing in the pin number, the user will have 30 seconds to tap their phone against the ATM's NFC-enabled spot to complete the transaction. The company is piloting the program in Northern England and will roll it out to over 600 machines at 180 U.K. branches next year. As of now, the ATM will only work for Barclays customers. Customers can also tap bank cards to use Contactless Cash, but they must first add a card to that section of the mobile app. Other banks are already using app-enabled transactions for cash withdraws. For example, Spain's CaixaBank has provided app-enabled ATMs since 2011. Last year, BMO Harris Bank rolled out cardless ATMs in the U.S. using QR codes for authentication. Most recently, Bank of America rolled out NFC-enabled ATMs in the U.S. this year, but the systems still require users to type PINs directly into the machine. Chase is expected to launch a similar feature in the near future.